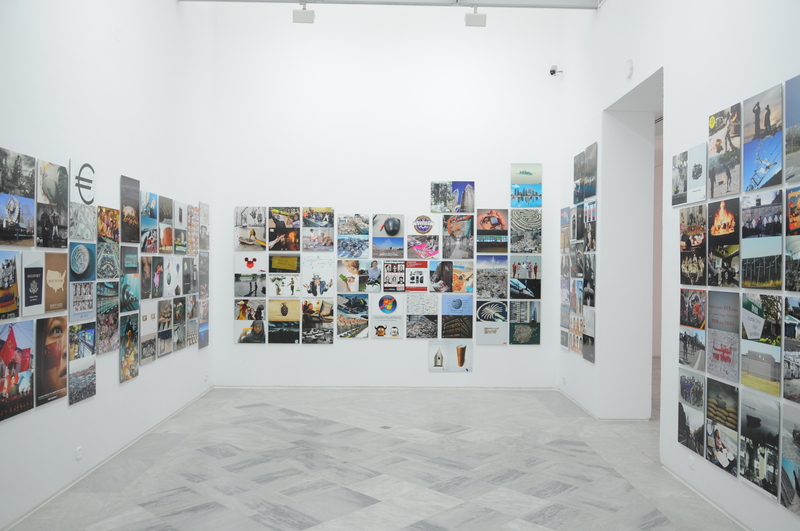 Without Reality There Is No Utopia was organized by the Centro Andaluz de Arte Conteporaneo in Seville, Spain; and curated by Alicia Murría, Mariano Navarro and Juan Antonio Álvarez Reyes. Artists in the exhibition include: Alfredo Jaar, Artur Zmijewski, Carlos Motta, Chto Delat?, Ciprian Muresan, Daniel García Andujar, Dora García, Ed Hall, El Roto, Federico Guzmán, Fernando Bryce, Ignasi Aballí, Jan Peter Hammer, Judi Werthein, Katya Sander, Lene Berg, Manolo Quejido, Oliver Ressler, Rirkrit Tiravanija, Superflex, Zeina Maasri, and Zhou Xiaohu. In the Age of Information, actual reality has been supplanted by virtual reality, computer simulation, and false narratives. Since the concept of utopia is based on the improvement of reality, the disappearance of the real also signals the end of utopia.Without Reality There Is No Utopia illustrates this premise by examining false narratives that masquerade as truth; the collapse of Communism in the 1980s; the current financial crisis, which heralds the demise of Capitalism; the contradictions inherent in geopolitics; and the explosion of democratic uprisings around the world. The exhibition includes work by more than two-dozen international artists, and features works of photography, video, drawing, painting, collage, and more. The exhibition is organized into two asymmetric sections that consider shifts in global political realities.